DGT Walnut e-Boards do not have indices. 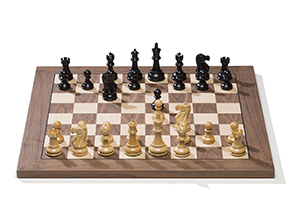 Pictured is the Walnut board with Timeless pieces. 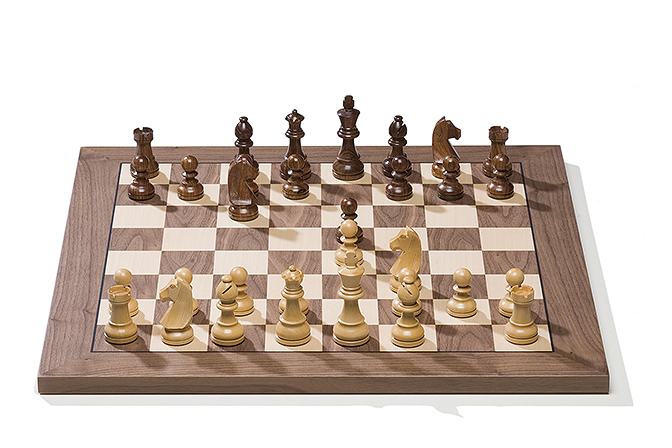 For images of the Walnut board with other pieces please see below. USB e-Boards are packed in a beautiful gift box. 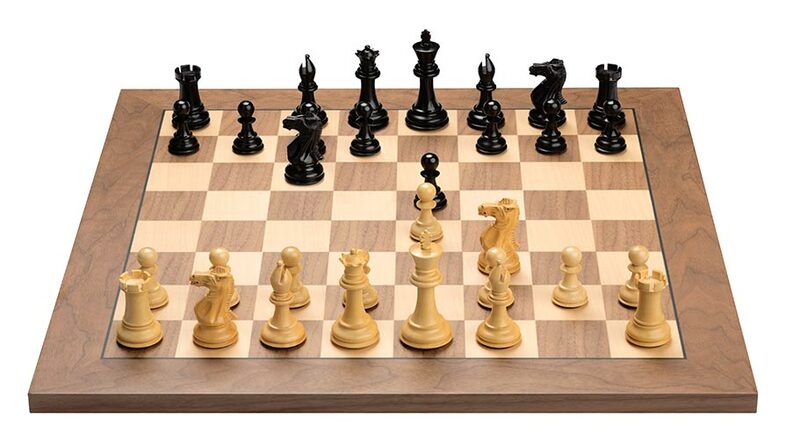 A special edition of the famous Fritz chess playing program and 100 days free access at PlayChess.com is included. Included in the gift box is 1) USB cable 2) Two extra queens 3) Clock Cable 4) Fritz12 CD 5) DGT e-Board software CD. Specifications, colors and contents may vary from illustrations.